Native Americans used several varieties of the willow; they wove baskets with willow, used willow for pain and reducing fever; the gray willow (S. exigua) was called “Kosi tsube” by the Paiutes and the Shoshones. They used willow twigs with salt, steeped and drank for laxative. 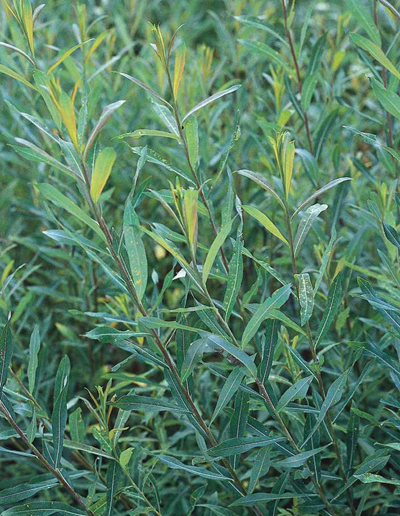 Willow was one of the first herbs to be scientifically investigated. In the 19th century, the French chemist, Leroux, extracted the active ingredient “salicine.” By 1852 it was being synthetically produced, and by 1899 a less irritating acetyl salicylic acid was manufactured and marketed as aspirin. This was the first plant-derived drug of the modern generation. 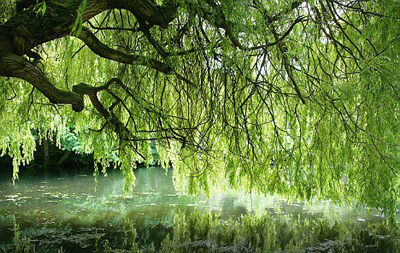 A strong tea made from the inner bark of the willow tree was once thought to be a “perfect cure” for venereal disease.